3T/4T - $29.99 Only 4 left! Size 4/6 - $29.99 Only 3 left! Gidget is one of those animals who spends the majority of her day at home alone... well kind of. The fluffy white Pomeranian has a circle of canine buddies who are always there to keep her company. For instance, she sits by the window a lot so she can chit-chat with Max, her crush in a nearby apartment, in order for the day to go by quicker. But don't let her high-pitch voice and her sweet demeanor fool you; Gidget is ready to throw down if anyone tries messing with her gang of fuzzy friends. 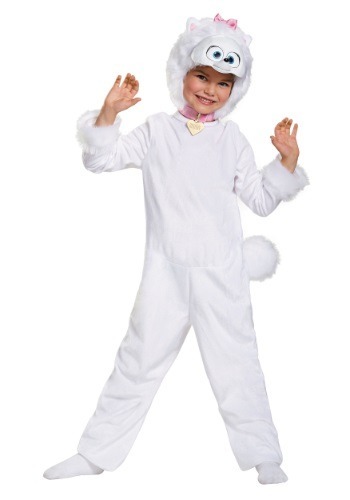 Your little one will love transforming into the lovable apartment-dwelling Pom by wearing this Gidget Costume from The Secret Life of Pets movie. 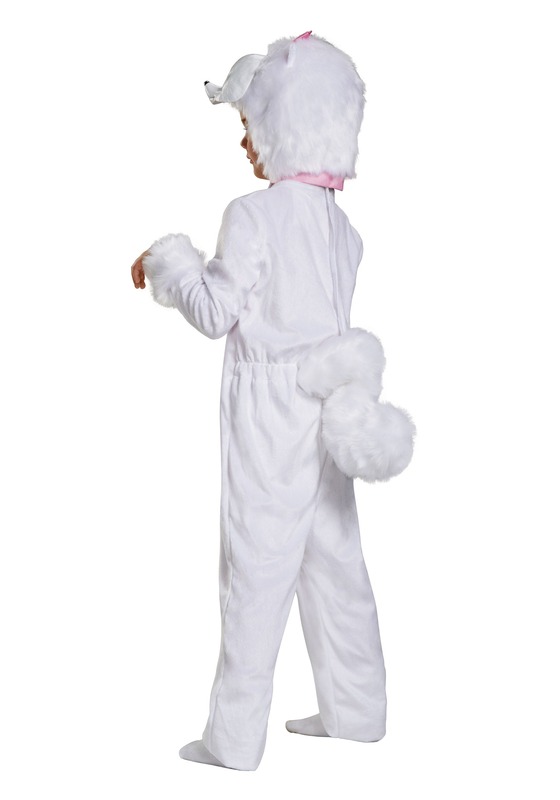 Your child will finally get to experience what it's like to be a puppy once they zip up this comfortable white jumpsuit, complete with a fluffy tail and faux-fur around the sleeves. Once the plush character hood is attached underneath her chin, your little one is ready to explore the secret life of their cherished animal pals. Will she share all the secrets she discovers with you? We guess only time will tell, but we do know that she'll have a tail-wagging good time dressed as the one and only Gidget!